You’ve booked your accommodations and arranged your travel plans for the best week ever on Anna Maria Island. Now all that’s left to do is to rent those items you can’t pack with you! From beach chairs to car booster seats for your little ones-we have got you covered. 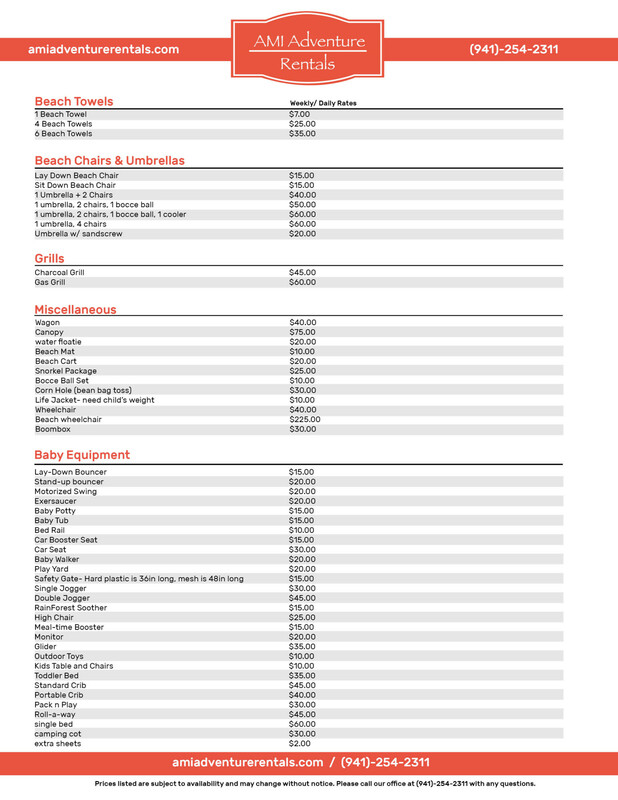 For your convenience, we have listed out all of the rental items available and the cost. Please keep in mind that these range from daily to weekly prices. When you have your items picked out, simply click here to place your order! If you have any questions on the item, rental price or if there is anything we can do to make planning your trip easier, please don’t hesitate to contact us.